KALAGNY's pro bono clinics are held in Manhattan and Queens on the first Tuesday of every month, from 7-9 PM. The next clinics will take place on November 6, 2018 at the locations listed below. Please spread the word to family, friends and neighbors in need of legal counsel. A Korean-language flyer describing our services can be found here (pdf). On Tuesday, Oct. 30, from 5:30 p.m. to 8 p.m., KALAGNY, AABANY's Real Estate and Solo and Small Firm Committees and Big Apple Abstract will present a CLE on aspects of due diligence when entering into residential real estate contracts. The CLE will take place at Flushing Bank in Queens (164-20 Northern Blvd., Flushing). Please see this flyer (pdf) for more details and click here for the registration link. 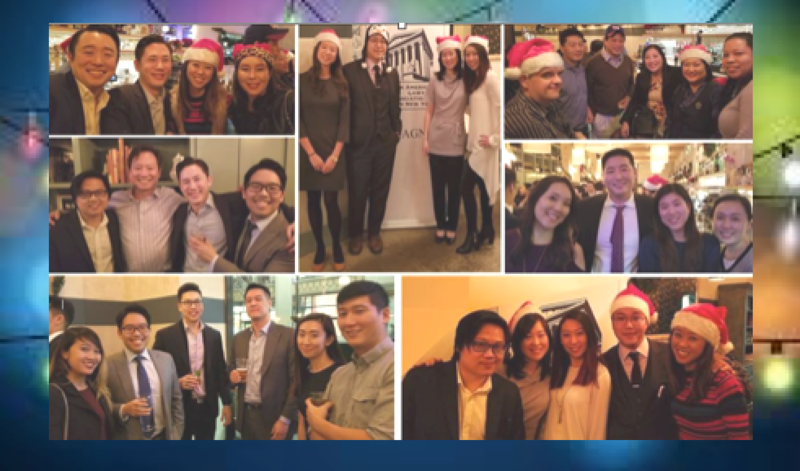 Please contact Margaret Ling, Co-Chair, AABANY Real Estate Committee, at margaret.ling@aabany.org with any questions. In this networking and CLE event on Thursday November 1 at 5:30 p.m., a panel of experts will discuss the due diligence required before a residential contract (for a house, condominium including resale and new construction, or cooperative) is signed, and prior to closing of the transaction. Specific attention will be directed to representation of foreign Asian purchasers and sellers, and ethical considerations will be highlighted. The program will begin with a networking reception and buffet followed by the panel discussion. The program will be hosted by the New York County Lawyers Association (NYCLA) at 14 Vesey Street in Manhattan (map). The networking reception is co-sponsored by KALAGNY; the Asian American Bar Association of new York (AABANY); Big Apple Abstract Corp; Bank of America; and Merrill Lynch. NYCLA’s Asian Practice Committee and NYCLA’s Solo and Small Law Firm Committee are co-sponsors of the CLE program. For more information and to RSVP, please contact Margaret Ling at margaret.ling@aabany.org. 2nd Annual Veterans & Military Networking Event - "Diversity in the Military: Then and Now"
Please join us at KALAGNY's 2nd Annual Veterans & Military Networking Event on Monday, November 5, 6:30 p.m.-9:00 p.m. at the Museum of Korean American Heritage (MoKAH) (149 W. 24th St., 6th Fl., Manhattan). Through this annual event, KALAGNY hopes to expand and strengthen a network of and for our veteran and military members. The event also provides an opportunity to spotlight and thank each of our veteran and military members and their families for their service and sacrifice. This year, the event includes two networking sessions and a panel discussion on "Diversity in the Military: Then and Now." Click here to see the event flyer (pdf). Darol Tucker, Brooklyn Local Taxpayer Advocate and U.S. Army, First Sergeant, Ret. Please click here to RSVP no later than Thursday, November 1. As space is limited, priority will be given to veteran and military members of the participating bar associations. Each attending veteran and military member may bring up to two veteran and military guests (including non-lawyers). All attendees - including guests - must register at the RSVP link provided above. On Wednesday, November 7, 6:30-8:30 p.m., KALAGNY will join with attorneys from Lee & Ko’s Seoul office to host a presentation on doing business in Korea. Topics will include entity formation, foreign direct investment, employment and labor, antitrust and litigation in Korean courts. The presentation will be followed by a networking reception. The event will take place at Wilson Elser Moskowitz Edelman & Dicker LLP’s midtown offices (150 E. 42nd St. #23). Light food and beverages will be served. For more information on the event and the speakers, please see the event flyer here (pdf). To RSVP for the event, please click here. NAPABA's Annual Convention is taking place this weekend. You can still register for the remaining Convention days. Click HERE for the Convention schedule, registration link and other details. KABA Chicago and IAKL are hosting a joint Happy Hour TODAY (Friday, Nov. 9th) from 3pm-5pm at NBC Tower (455 N. Cityfront Plaza Drive, 20th Floor, across the street from the Convention hotel). No registration is necessary; please see the event flyer (pdf) for more details. Please note that we are at capacity for the KALAGNY dinner this evening. For those who previously registered and received a confirmation email from us: a group of us will be meeting at 7:45 p.m. in the main lobby of the Sheraton Grand Chicago to head over to the restaurant; you can also meet us at the restaurant by 8 p.m. (Lou Malnati's, Wells St. location in River North: 439 N. Wells St., Chicago). If you need to contact us regarding the dinner this evening, please send an email with "Chicago Dinner" as the subject line to kalagny@gmail.com, with a copy to James337@gmail.com. KALAGNY, together with AABANY’s Real Estate and Solo & Small Firm Committees, and Big Apple Abstract Corp., will host a networking and CLE event on Wednesday, November 14 at 5:30 p.m. on the topic of clearing title insurance prior to closing in real estate transactions. The program will begin with a networking reception and light buffet, followed by the CLE. Please click here to see the event flyer. The program will take place at Flushing Bank's Bayside location at 61-14 Springfield Boulevard, Bayside (map). Come celebrate the holidays with KALAGNY! Please join us on Thursday, December 6 from 6:30pm-9:00pm at BARO by Chefs Society (34 W. 32nd Street, Manhattan) to kick off the holidays in style. Limited open bar and food will be served. Please RSVP here by Friday, November 30th. The event is free for dues-paid KALAGNY members. $40 for non-members. Registrations will be confirmed via email, with payment instructions for non-members. In the spirit of giving, we will be partnering with the Korean American Family Service Center (KAFSC) again this year. Please stay tuned for more details on how to help spread the cheer this holiday season for a good cause. 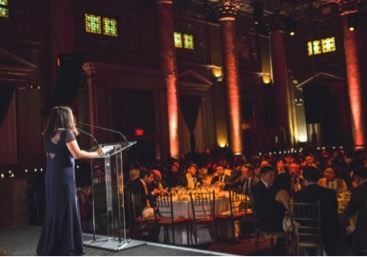 KALAGNY is seeking nominations for outstanding leaders in the legal community to be recognized at KALAGNY's 33rd Anniversary Gala, which will take place on June 20, 2019. KALAGNY invites you to submit an application on behalf of individuals with notable professional achievements and involvement in the Korean American community and/or the broader Asian American community. If you would like to nominate a candidate for KALAGNY's consideration, please click here to complete and submit the nomination application. The deadline to submit nominations is November 16, 2018. Please visit KALAGNY's website and click on the respective Gala year (see menu column) for information on past honorees and their bios. If you have any questions, please email kalagny@gmail.com with "Gala Nominations" in the subject line. The new officers will be sworn into office at NAPABA’s 30th Anniversary Gala at the 2018 NAPABA Convention in November. *Note: Courtney Fong has withdrawn his candidacy for Vice President for Finance and Development due to a NAPABA by-law permitting only three members from the same region to serve as officers. Read his statement here. Oct. 22, 2018 | Nominations may be submitted until 5pm ET. Oct. 24, 2018 | Vice President for Finance and Development candidates announced and endorsements accepted. Nov. 1, 2018 | Candidate endorsements may continue to be submitted until 12pm ET on this date. Votes must be cast by 9pm ET on this date in order to be counted. Nov. 2, 2018 | Election results will be announced. Questions or concerns may be directed to elections@napaba.org. Korean Community Services of Metropolitan New York (KCS) is hosting its 45th Anniversary Gala on November 2, 2018 at Ziegfeld Ballroom. This year's theme, “Building our Legacy: Health and Wellness,” will highlight KCS's success with its clients, generous donors and community partners. Dr. Richard Park, Founder/CEO of CityMD Urgent Care will be the keynote speaker. He will be joined by honorees Commissioner Donna Corrado, Madam Borough President Melinda Katz and Dr. Chau Trinh-Shevrin. Click here to purchase tickets. What are the characteristics of a good mentor and, more specifically, the right mentor for you, and what are the components of a successful mentoring relationship? On Wednesday, November 17, 6:00-8:45 p.m., at Microsoft's Manhattan Flagship Store (677 5th Ave., 7th Fl.) a distinguished panel will address these questions while covering all aspects of mentorship, what to look for, questions to ask, getting the timing right, and what to expect: the positives and negatives. Guest Speakers: Don H. Liu, Executive Vice President and Chief Legal & Risk Officer, Target; Jyoti Chopra, Senior Vice President and Global Lead for diversity and inclusion, Pearson Plc. For more information, please see the event flyer here (pdf). Click here to RSVP. KALAGNY members can view the full details and contact information for the following featured postings and our many other current job postings by logging in on our website or clicking here. A New York City law school is hiring adjunct faculty for courses in Negotiation, Counseling and Interviewing and Pre-Trial Adjudication. 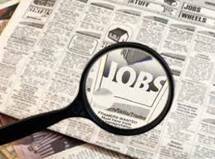 A Queens pro bono legal services organization seeks a Consumer Debt/Bankruptcy Staff Attorney (paid position). A legal research service in Washington, DC under the auspices of the U.S. government seeks a Legislative Attorney to analyze legal questions related to health law in particular and American public law generally. A Bronx-based personal injury boutique firm, focusing on workers' claims, seeks Associates with litigation experience and preferably strong trial experience. A non-profit organization in Washington, DC is hiring a Director for its Law School Engagement & Advocacy division. The position has a strong focus on advocating in support of preserving the Public Service Loan Forgiveness program and managing a broad coalition in support of the non-profit organization.